The development of cooling technology has been an important element in the successful development of industrial and commercial systems for more than 50 years. This has been especially true during the past decades as electronic components have shrunk while increasing in performance, and industrial processes have grown to require ever better cooling performance. Today cooling is viewed as a bottleneck technology necessary to the successful development of future electronic systems. Dr. Sung Jin Kim is a Professor in the Department of Mechanical Engineering at the Korea Advanced Institute of Science and Technology (KAIST). He received a Ph.D. degree in Mechanical Engineering from the Ohio State University in 1989. Until joining KAIST in July 1997, he was a group leader of Thermal Engineering Center at the IBM Tucson Laboratory for 7 years. His research group at KAIST held National Research Lab status for 5 years from 2006. Recently, he was awarded a prestigious 9-year grant by Korea’s Creative Research Initiative to develop Flexible and Thin Thermal Superconductors. 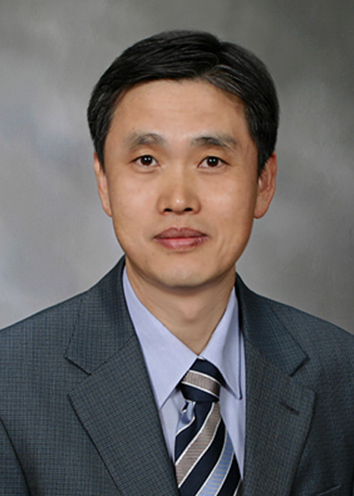 He is a member of Korean Academy of Science and Technology, and an ASME Fellow. He has received Scientific Achievement Award from KSME, Excellent Teaching Awards from KAIST, two Invention Achievement Awards and five Author Recognition Awards from IBM. He edited a book entitled Air Cooling Technology for Electronic Equipment.